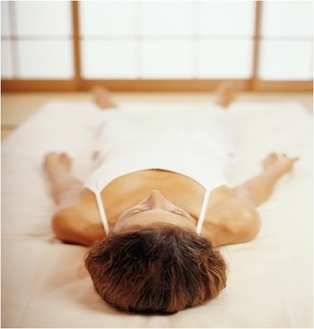 Add the deeply relaxing and nourishing practice of Yoga Nidra, a guided meditation technique, to the end of any massage session to enjoy the deeply restorative effects of conscious relaxation for your mind as well as your body and being as a whole. Over the years, many have reported that massage helps them to relax their body, but often their mind remains very active throughout the session. Adding the practice of yoga nidra to the end of the session is an effective way to slow down the mental fluctuations and to guide one's awareness to the deep well-spring of vitality and sustenance that lies within, for a deeply refreshing experience on all levels of the being.